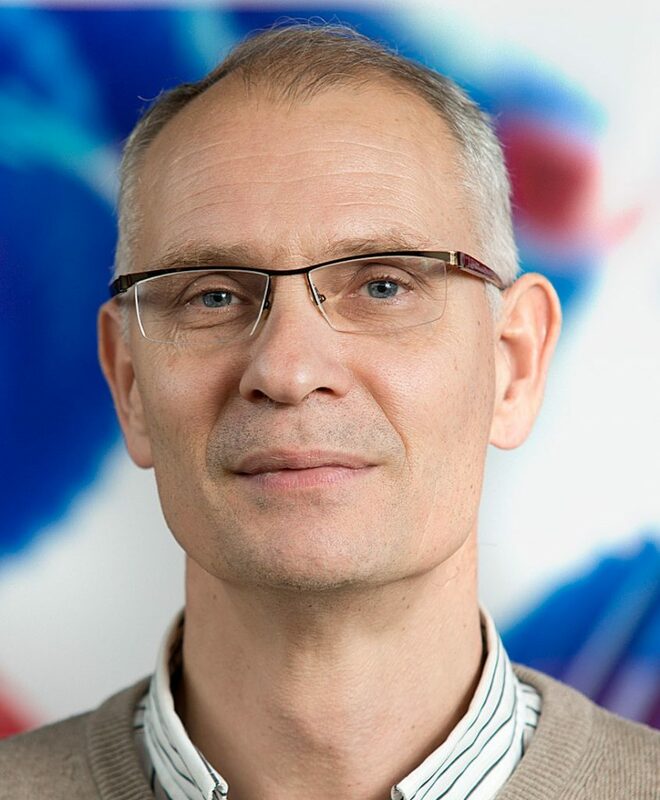 Peter Bobbert is Associate Professor in the M2N group and part-time Professor at the University of Twente. He studied at Leiden University and obtained his PhD there in 1988 on the theory of light scattering of rough surfaces. As postdoc at Utrecht University, he performed electrochemical experiments related to his PhD research. He acquired a postdoctoral fellowship of the Royal Dutch Academy of Sciences at Delft University of Technology, where he worked on quantum phase transitions in arrays of Josephson junctions from 1989-1991. This was followed by a stay as guest scientist at Harvard University, where he worked on vortex dynamics in arrays of Josephson junctions. In 1991 he joined Eindhoven University of Technology, where he worked initially on ab initio electronic structure calculations of inorganic materials using Green-function approaches. In 1998 he started his work on the theory of organic electronics and devices: organic field-effect transistors (OFETs), organic light-emitting diodes (OLEDs), and organic photovoltaic (OPV) devices. Together with Philips Research he has developed organic device modelling software that is now being commercialized by the company Simbeyond, of which he is co-founder. In 2017 he took up the position of Associate Scientific Director of the Center for Computational Energy Research (CCER), which he helped establishing.